Field-of-Interest funds are established to support a class of charitable beneficiaries or institutions. The Community Foundation decides which organizations or programs in the field specified by the donor will receive the funds. Cindy’s Wind Fund for Women and Girls – To provide mini grants to encourage women and girls of all ages and walks of life meet their full potential. CONSOL Energy Excellence in Education Fund – To provide small grant support to public schools and classroom teachers to assist with classroom supplies, equipment, and other items to assist the educational process; and professional development opportunities in order to enhance student learning and performance. The Fund for Arts and Culture – To provide support to impact the area of arts and culture. The Fund for Children, Youth and Families – To provide support to impact the area of children, youth and families. The Fund for Community and Economic Development – To provide support to impact the area of community and economic development. The Fund for Health and Human Services – To provide support to impact health and human services. The Futures Fund – To provide support to innovative projects or programs that will advance the economic or social well-being of Greene County. The Kathleen A. Hamilton Davis and William R. Davis Memorial Fund – To provide support and assistance for the benefit of children and families in Greene County who are experiencing social or economic hardship. The L & M Fund – To provide financial assistance for medical needs, such as medical prescriptions, hospice care, or other medical services in Greene County through qualified non-profit organizations who serve individuals in need of such services. For general operating expenses of the Community Foundation of Greene County or for unrestricted grant making. The Francis “Bob” Bradford Fund – To provide unrestricted support to the Community Foundation of Greene County for the benefit of Greene County. The Nancy I. Davis Fund – To provide for general operating expenses and discretionary grantmaking of the Community Foundation of Greene County. The Good For Greene Fund – To provide for unrestricted grantmaking to benefit Greene County programs and residents. The R. K. Mellon Fund – To provide for general operating expenses of the Commnity Foundation of Greene County or for unrestricted grantmaking. The Margaret E. Rock Discretionary Fund – To provide for general operating expenses of the Community Foundation of Greene County or for unrestricted grantmaking. The Reverend Carol E. Visser Fund – To provide for general operating expenses of the Community Foundation of Greene County or for unrestricted grantmaking. The Bentleyville United Methodist Church Fund – To provide unrestricted support for the Bentleyville United Methodist Church. The Dr. William and Marie Colantoni Memorial Fund – To provide support for Washington Hospital and Waynesburg College. The Evelyn Barclay Funk Memorial Fund – To provide support to the Greene Academy of Art for the maintenance of buildings and yearly programming and Laurel Point Cemetery for general maintenance and preservation of historic markers. Gensler Church Fund – To provide support to the First United Methodist Church of Waynesburg for activities of the United Methodist Women and Vacation Bible School. Gensler Food Bank Fund – To provide support to the Corner Cupboard Food Bank to purchase food. The Greene County Memorial Hospital Fund – To provide support to Greene County Memorial Hospital Foundation. The Katherine M. and D. Dale Hamilton, Jr. Fund – To provide holiday gifts for children under Greene County Children and Youth protective services who are still living in their natural homes. The Mary Ann Dornack Hughes Memorial Fund – To provide unrestricted support to St. James Roman Catholic Church, LaBelle; Immaculate Conception Roman Catholic Church, Connellsville; St. Peters Roman Catholic Church, Brownsville; WQED television; and the Christian Children’s Fund. The Fund for the Humane Society – To provide unrestricted support for the Humane Society of Greene County. The June Kim Fund for Flenniken – To provide unrestricted support for the library. The Dolores McCracken Fund for the Fairall United Methodist Church – To provide unrestricted support for the Fairall United Methodist Church. The Dolores McCracken Fund for the Humane Society – To provide support for the purchases of dog boxes for the Humane Society. The McCracken Memorial Community Center Fund – to support the Whiteley Creek Community Center, Inc.
Lance Corporal Steven Phillips Memorial Fund – to provide support for the Computer-Aided Drafting Program at the Greene County Career and Technology Center. Leah Abbe Zwerver Memorial Fund – to provide support to Waynesburg University Student Services for one-on-one cultural and environmental experiences between university students and public school students. The J. Claude Smith Memorial Fund – To provide support to the Laurel Point Cemetery Association for the purpose of maintaining cemetery grounds and support to the Greene Academy of Arts. The Viola (Steele) and Leroy Willis Fund for Flenniken – To provide annual grants for those purposes deemed appropriate by the Flenniken Library board of directors. The Viola (Steele) and Leroy Willis Fund for First United Methodist Church – To provide unrestricted support for First United Methodist Church of Carmichaels, PA. The Victor and Anna Mae Wancheck Beghini Scholarship Fund – For graduating seniors of Mapletown High School to attend a four-year college/university with a Science, Technology, Engineering or Math (STEM) major. The Army Spec. Gregory A. Cox Memorial Scholarship Fund – To provide a scholarship for a Greene County student attending college, participating in Reserve Officer Training Corps (ROTC) and/or planning to enter a career in public safety or public service. The William H. Davis, Jr. Scholarship Fund – To provide a scholarship for current Greene County residents who are graduating seniors, or previous graduates of any high school to attend the Westmoreland County Community College. The Rocky Doman Memorial Scholarship Fund – To provide scholarships for graduating athletes from Carmichaels Area Senior High School to attend college. The Dove Award – To provide scholarships for a female student from Jefferson Morgan high school. The Enstrom Family Scholarship Fund – For Jefferson Morgan students to attend California University of Pennsylvania. The Jesse Benson Finnegan Scholarship Fund – For students graduating from the Greene County Career & Technology Center with first preference for students in the Electrical Occupations program. The Russell A. Guthrie Memorial Scholarship Fund – For senior students graduating from Jefferson-Morgan High School to attend either a technical school or a four-year college or university. The William and Shirley Hanley Memorial Scholarship Fund – To provide a scholarship for senior students graduating Carmichaels Area High School and Mapletown High School to attend college or university. The Aaron Anthony Haywood Memorial Scholarship Fund – To provide a scholarship for senior students graduating from Waynesburg Central High School to attend a four-year college or university with a declared major in Engineering. The Thelma S. Hoge Memorial Scholarship Fund – To provide scholarship to worthy students of West Greene School District who are pursuing a college education. The R.A. Matteucci Family Scholarship Fund – To provide an annual need based scholarship to the Jefferson-Morgan High School. The Evelyn Minor Scholarship Fund – To provide scholarship to a senior from Southeastern Greene School District to continue formal post-secondary education. The George L. Misher and Anne Misher Memorial Scholarship Fund – For graduating seniors of Jefferson-Morgan High School. The Gregory and Mary Lou Niverth Scholarship Fund – For a senior student graduating from Jefferson-Morgan High School. Scholarship will be for sophomore year of college. The Darlene Phillips Memorial Education Scholarship – To provide a scholarship to a senior from Mapletown High School to attend a 4-year college or university. Preference may be given for students planning to major in elementary education. The Walter Samek III Memorial Fund – To assist graduation senior class members of Carmichaels High School to continue post secondary education. Stealth Scholarship Fund – a non-endowed fund to provide scholarships for non-traditional students living or working Greene County. Thelma J. Szarell Scholarship Fund – To provide a scholarship for the third ranked student (not designated as a valedictorian or salutatorian) graduating from West Greene High School who has attended West Greene High School for all four years of high school. The Early Intervention Enrichment Fund – To provide support for Early Intervention programs serving Greene County children ages Birth – 6 years to offer enrichment activities and encourage parent participation. The Forget-Me-Not Fund – To support educational, civic, environmental and charitable programs in Dunkard Township, Pennsylvania and the Dunkard Creek watershed. The Michael A. Milinovich Memorial Fund – To provide support for the preservation of Croatian or Slavic music. The Peters Family Memorial Fund – To help children and youth of Greene County. The Rotary Club of Waynesburg Charitable Fund – To provide grants to charitable nonprofit organizations in Greene County. The Daniel and Lizzie Tharp Fund – For the benefit of residents of the western area of Greene County. The Community Action Southwest Fund – To provide unrestricted support for Community Action Southwest. The Cornerstone Care Health Services Fund – To provide unrestricted support for Cornerstone Care. The Flenniken Library Fund – To provide unrestricted support for the Flenniken Public Library in Carmichaels. The Greene County 4-H Program Fund – To provide unrestricted support for the 4-H Program of Greene County. The Greene County Log Courthouse Fund – To provide support for future upkeep and renovations of the Greene County Log Courthouse. Donors have up to 5 years to fully endow a fund. Linda Kostak Memorial Softball Scholarship – For a female graduating student of Carmichaels Area High School who has played softball during high school. Many donors choose to create funds through provisions in their estate plans. Community Builders Fund – Nonprofit and community development training course for Greene County. EITC Educational Improvement Curriculum Fund – To provide grants for advanced academic, innovative curriculum projects in Greene County public schools. EITC K-12 Scholarship Fund – To provide scholarships for income eligible Greene County students to attend private or parochial schools. EITC Pre-Kindergarten Fund – To provide scholarships for income eligible Greene County children to attend approved pre-kindergarten/preschool programs. Summer Food Program Fund – Support for Summer Food Programs in Greene County. Weekend/Backpack Food Program Fund – Support for Weekend Food Programs through the five Greene County school districts: Carmichaels Area, Central Greene, Jefferson-Morgan, Southeastern Greene and West Greene. Contributions may be designated to support one or more of the school districts.  There is no fee charged to set up a fund at the Community Foundation. Endowed Grant Funds can be established with a minimum contribution of $5,000. Endowed Scholarships can be established with a minimum contribution of $25,000. Donors have up to five years to build the minimum contribution amount. Donors may contribute any amount to particular existing funds as specified. 1) Permanent Endowment funds are permanent and are intended to benefit Greene County forever. 2) Non-permanent funds are intended to fulfill a specific, short-term need.